We do not test on ANIMALS, we do not use CHEMICALS. 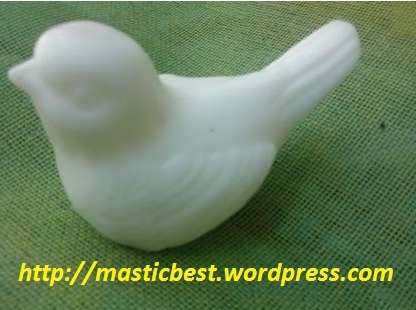 Prices are retail we also sell at wholesale. NEW PRODUCTS ARE COMING OUT EVERY MONTH. 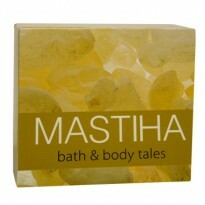 Mastiha water is a naturally scented water with the unique mastiha aroma. It is obtained by the natural distillation of mastiha and contains a small proportion of mastiha oil. It can be used daily, either in the morning or at night, as a hydrating and toning lotion that cleanses and scents the skin, giving it a fresh and healthy glow. The presence of the right level of lipids is important for retaining moisture in the epidermis and maintaining high levels of hydration. This emulsion cleanses gently, thanks to the cleansing agents it contains, which respect the pH of the skin, and act without damaging the necessary protective sebum layer or removing any physiological moisturizing substances. For best results, combine it with Mastiha and Grape Seed Face Cream. Use: Apply a small quantity of the emulsion on a cotton wool and rub gently into the face, neck and eye area. Works as a leave-on or rinse-off with water cleanser. This body butter is a wonderful soothing and moisturizing cream for dry skin. The antioxidant and nourishing action of Sunflower Oil enhaces the elasticity of the skin. Shea butter and quince extract have softening and restructuring properties, while almond and avocado oil nourish and deeply moisturize the skin. For best results, combine it with the Shower Gel with Mastiha & Aloe. Use: Apply the cream to dry or damp skin, concentrating on areas that need extra moisturizing. Ideal for dry elbows, heels, and knees. A deep-cleansing facial mask rich in Kaolin, a natural type of clay with significant sebum-absorbing properties. Jojoba oil enhances the suppleness of the skin and refreshes dull and tired looking skin. The main action of this cleansing mask is the removal of excess sebum and dirt from the skin. This action is owed to the powerful absorbing ability of the clay that is contained. Ideal for oily-combination skin. For best results, combine it with the Revitalizing face cream with mastiha and gentian. Use: Apply the mask to dry skin, avoiding the area around the eyes. Leave for 10 minutes and rinse with plenty of lukewarm water. Ideally used once a week. 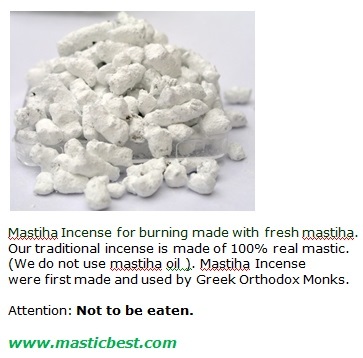 -Mastiha Oil: Offers antimicrobial and healing properties. -Kaolin: A natural clay with significant sebum-absorbing properties. 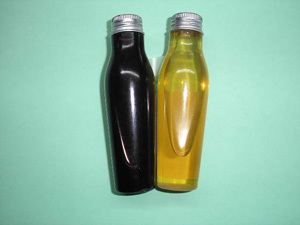 -Jojoba oil: Enhances suppleness and refreshes dull and tired-looking skin. Citrus microbeads absorb excess sebum and reduce cutaneous shine. At the same time, Grapefruit extract and Zinc in combination with the Mastiha oil have antibacterial properties and result in efficient sebum regulation. Contains: Mastiha oil, Lemon water, Lemon, Orange and Grapefruit microbeads, Zinc, Cucurbita pep extract, Grapefruit extract, Willow bark extract. Our skin contains 70% water. Maintaining the ideal water content is critical for a healthy, beautiful skin. 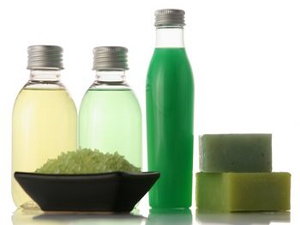 Therefore, the daily use of hydrating products becomes essential. The vegetable oils in this cream moisturise the epidermis so as to be elastic and velvety, while grape seed polyphenols and vitamin E, due to their potent antioxidant capacity, enhance the health of the skin and help preserve its suppleness. Use: After the daily cleansing, apply it gently to the face and neck, avoiding the eye area. -Olive and Macadamia Nut Oil: Moisturizes the epidermis, offers antioxidant protection. -Grape seed, Polyphenols, and Vitamin E: Antioxidants that enhance the health of the skin and help preserve its suppleness. This is a very light revitalizing face cream for oily and combination skin. Gentian and Pine extracts oxygenate and renew skin cells while reinforcing their natural defenses. Jojoba, Macadamia and Mastiha restore elasticity to the skin while adding their anti-oxidant protection. Use: Apply the cream to the face and neck, avoiding the area around the eyes. Use in the morningand evening, after cleansing. -Gentian Pine and Achillea: Revitalizes skin cells and enhances its natural defenses. Avocado and Macadamia oil moisturize the skin, while Shea butter acts against laugh lines and other fine lines. Vitamins E, C, and F effectively protect from free radicals, providing in depth anti-aging action. Apply in the evenings, after cleaning, to the face and neck, avoiding the area around the eyes. 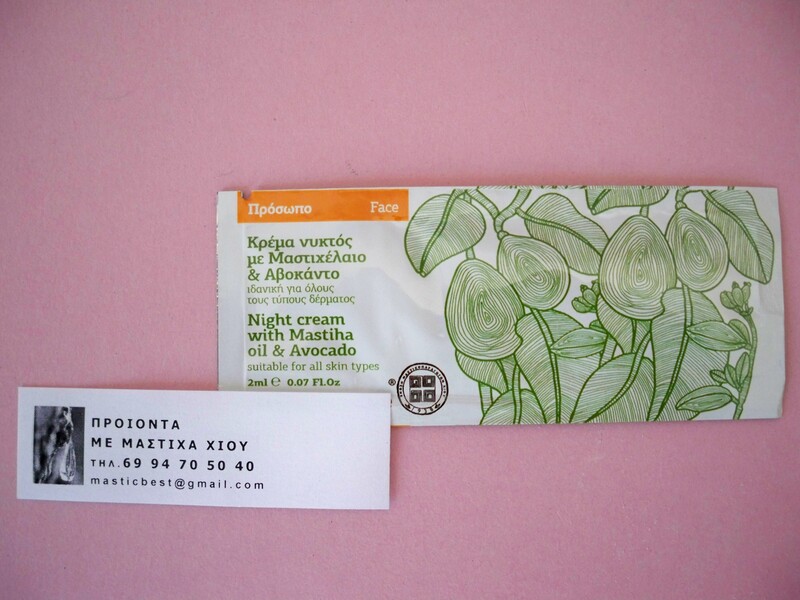 Use: In the evening, after cleansing, apply the cream to the face and neck, avoiding the area around the eyes. An eye cream for all skin types. This exceptionally light-textured formula is ideal for the sensitive eye area skin. Aloe reduces the transepidermal loss of moisture and increases tolerance to UV exposure. Provitamin B5 also provides long-lasting moisturising, while Jojoba oil enhances the suppleness of the skin. For best results, combine it with the Revitalizing Face Cream with Mastiha and Gentian. Use: Gently apply a small quantity to the area below the eyes, and exactly below the eyebrows. Use in the morning and evening, avoiding the area of the upper eyelids. 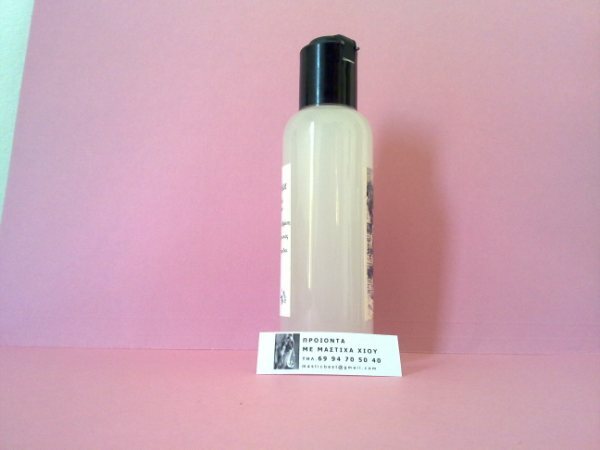 This creamy-foam shower gel has a quantifiable, lasting moisturizing effect. Its active aloe juice, vitamin C, vitamin E, zinc, and antioxidant enzymes, all work to enhance the skin’s immune system. Due to its ability to stimulate collagen and elastin synthesis, aloe vera gel slows the skin’s aging. 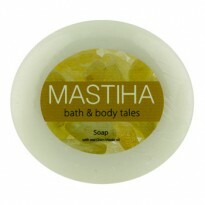 For best results, combine the Shower Gel with Mastiha & Aloe with our Body Butter with Mastiha. This beautiful wooden box of 9 different scented soaps is naturally luxurious. 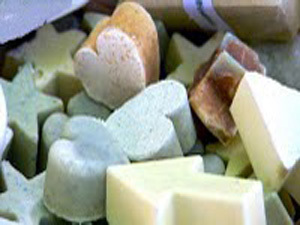 The soaps are handmade, and each has its own exotic fragrance. It makes a great gift for someone who loves quality bath products, or is in need of some well-deserved pampering. Includes: Honey, Orange Blossom, Lavender, Almond Exfoliant, Mastiha, Cedar of Lebanon, Rose of Damascus, Tuberose, and Amber. Ingredients: Sodium Palmate, Sodium Palm Kernelate, Awua, Sodium Cocoate, Sodium Oleate, Butyrospermum Parkii, Glycerin, Fragrance, Purnus Dulcis, Avena Sativa, Tocopheryl, Acetate, Propyl Paraben, tetrasodium Etidronate, Tetrasodium EDTA. Mastiha gel contains wheat extract, provitamin B5 and Chios Mastiha oil, which contribute to the gel’s anti-inflammatory and hydrating attributes. Mastiha oil has anti-microbial agents and presents notable healing properties, which assist in the effective regeneration of the skin and composition of collagen. The combination of these active ingredients aids the recovery of irritated skin. ingredients: Aqua, propylene glycol, polysorbate-20, carbomer, triticum, sativum extract, d-panthenol, Mastiha oil, olea europaea leaf extract, triethanolamine, phenoxyethanol, imidazolidinyl urea, methylparaben, ethylparaben, butylparaben, propylparaben, isobutylparaben. This Shampoo with Mastiha oil & Olive oil cleanses in a mild, but efficient way. Being rich in Wheat proteins, keratin and Potato starch, it improves hair texture. It also contains an innovative cleansing agent derived from Olive oil and Wheat that moisturizes and keeps the hair soft, thus enhancing its health and sheen. 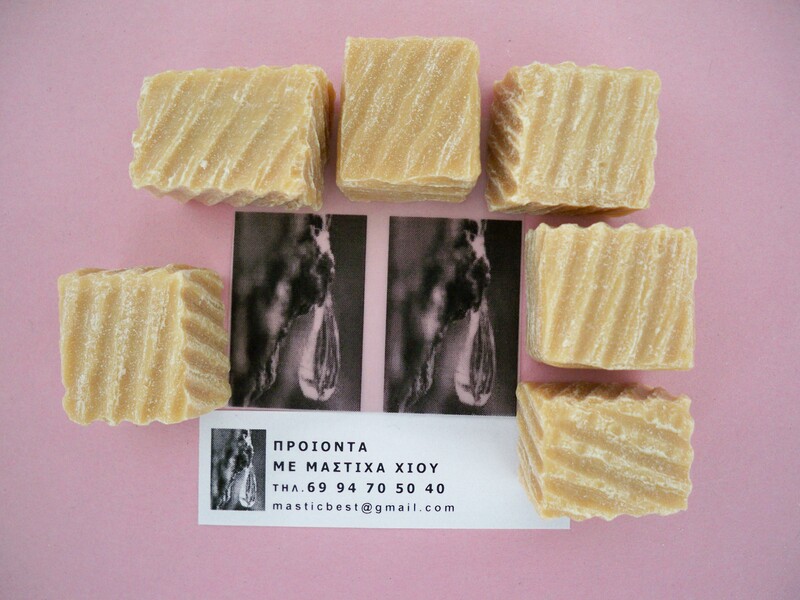 Pure Greek soap made with 100% olive oil, ecological, biodegradable, superior quality, 100% hypoallergenic and 0% skin irritants, Natural olive oil soaps are made with 100% plant derived ingredients, which are known from ancient times for their therapeutic properties. Suitable for the face and body. Exceptionally good for deep cleansing, purity and gentle care for every type of skin. Soaps and Herbs. Many of them have beneficial properties for the skin as well as letting a fragrance / aroma to your body, which stays for hours. 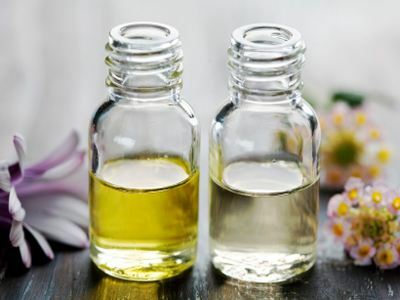 Such as : Mastiha / Mastic, Coconut, Lavender, Chamomile, Sage, Olive Leaves, Seaweeds, Laurel, Aloe Vera, Thyme, Honey, Rosemary, Cedar, Peppermint, Rose, Cinnamon, Jasmine, Oat, Tea, Sandalwood, Lemon, Orange, Green Apple, Mandarin, Cherry, Strawberry , Natural white, Natural Green. . . SAFE TO THE ENVIRONMENT. Our soaps are 100% biodegradable because they do not contain ion ingredients, artificial colours and perfumes. 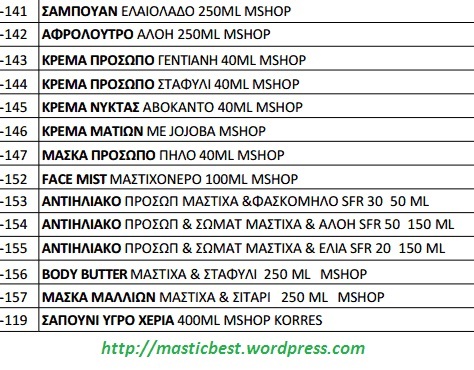 SO 1 = Soap Mastiha 100gr. Ingredients: Olive oil, water, salt, Mastiha oil. 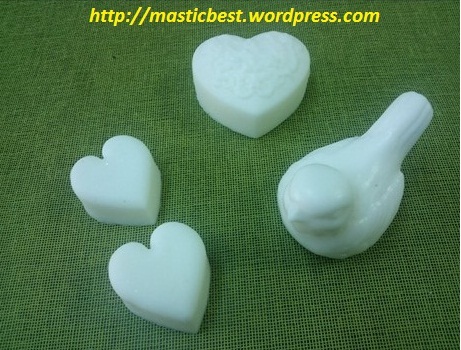 SO 2 = Soap Olive Leaves 100gr. Ingredients: Olive oil, water, salt, Olive leaves. SO 3 = Soap Chamomile 100gr. Ingredients: Olive oil, water, salt, Chamomile flavor. SO 4 = Soap Orange 100gr. Ingredients: Olive oil, water, salt, Orange flavor. SO 5 = Soap Cinnamon 100gr. Ingredients: Olive oil, water, salt, Cinnamon flavor. SO 6 = Soap Honey 100gr. Ingredients: Olive oil, water, salt, Honey flavor. 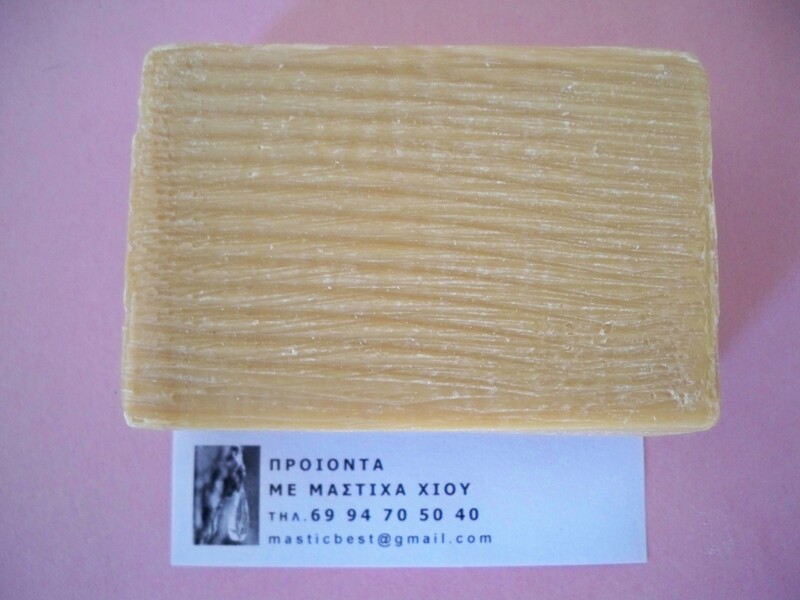 SO 7 = Soap Mastiha 100gr. Ingredients: Olive oil, water, salt, Mastiha oil. SO 8 = Soap Aloe Vera 100gr. Ingredients: Olive oil, water, salt, Aloe Vera flavor. 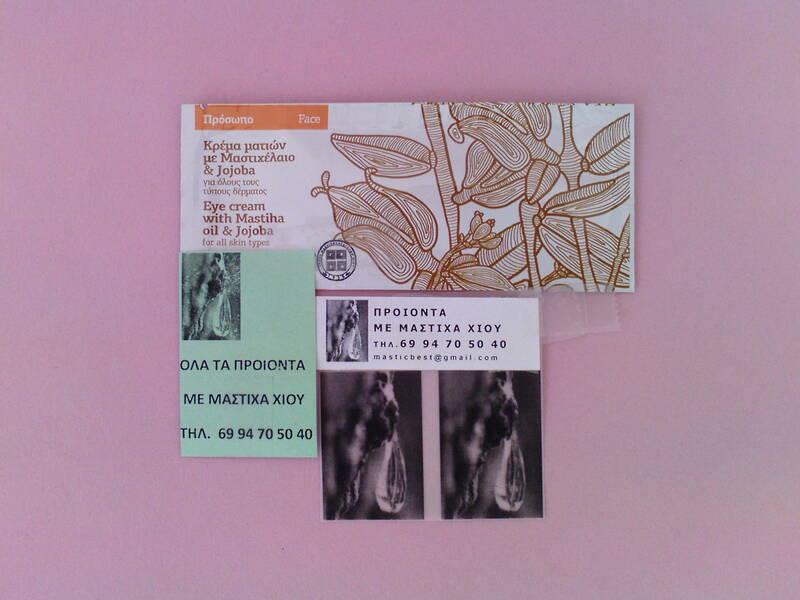 SO 9 = Soap Natural Olive oil soap 100gr. Ingredients: Olive oil, water, Salt. 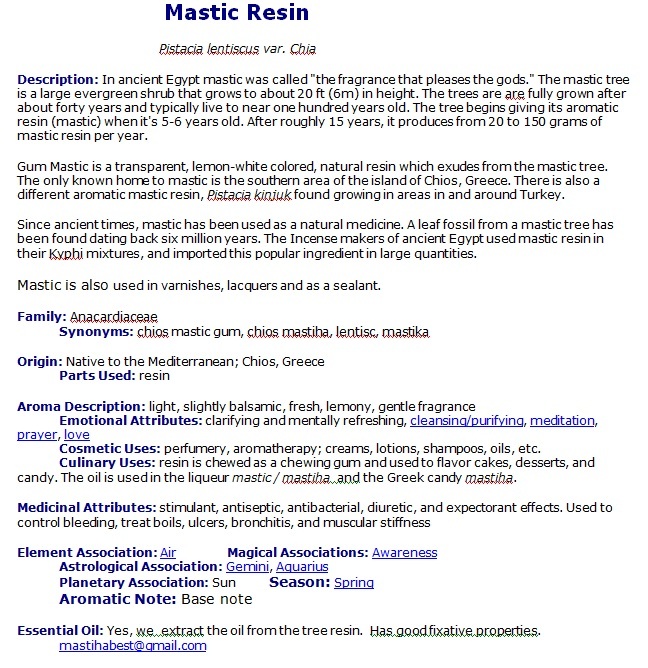 The aromatic, ivory-coloured resin, also known as mastic, is harvested as a spice from the cultivated mastic trees grown in the south of the Greek island of Chios in the Aegean Sea, where it is also known by the name “Chios tears”. Originally liquid, it is hardened, when the weather turns cold, into drops or patties of hard, brittle, translucent resin. When chewed, the resin softens and becomes a bright white and opaque gum. face thoroughly with lukewarm water. Your skin will feel soft, smooth and more youthful. Use – up to twice a week. 2. ACRYLAMIDE Possible human carcinogen. 3. ALCOHOL DENATURED Known or suspected teratogen. 4. ALUMINUM Reproductive system toxicity. 5. AMMONIA Reproductive system toxicity. 6. AMMONIUM GLYCOLATE Penetration enhancer. 7. AMMONIUM LACTATE Penetration enhancer. 8. AMMONIUM PERSULFATE Known human carcinogen. 1. BORIC ACID Reproductive system toxicity. 2. BUTOXYETHANOL Known human carcinogen. 5. BUTYL METHACRYLATE Immune toxicant. 1. CARBOLIC ACID Known human carcinogen. 2. CETEARETH-12 Potential breast carcinogen. 3. CETEARETH-20 Potential breast carcinogen. 4. CETEARETH-25 Potential breast carcinogen. 5. CETEARETH-30 Potential breast carcinogen. 6. CHLORINE DIOXIDE Reproductive system toxicity. 7. CLO 2 Reproductive system toxicity. 8. COAL TAR Known human carcinogen. 3. DC BLUE 6 Banned for use in cosmetics. 4. DC RED 17 Banned for use in cosmetics. 5. D-LIMONENE Reproductive system toxicity. 6. DIOXANE Possible human carcinogen. 7. DISODIUM EDTA Penetration enhancer. 1. ETHANOLAMINE Known human carcinogen. 2. ETHLACRYLATE Known human carcinogen. 3. ETHYLENE GLYCOL Reproductive system toxicity. 5. EXT DC GREEN 1 Banned for use in cosmetics. 6. EXT DC RED 1 Banned for use in cosmetics. 7. EXT DC RED 3 Banned for use in cosmetics. 8. EXT DC VIOLET 2 Banned for use in cosmetics. 1. FORMALDEHYDE Known human carcinogen. 2. FDC RED 3 Possible human carcinogen. 3. FDC RED 4 Possible human carcinogen. 5. FDC GREEN 3 Possible human carcinogen. 2. GLYCOLIC ACID Classified toxic. 3. GLACIAL ACETIC ACID Classified toxic. 4. GLYCERAL ISOSTEARATE Reproductive system toxicity. 5. GLYCERYL HYDROXYSTEARATE Penetration enhancer. 1. HC RED 3 Known human carcinogen. 2. HEXACHLOROPHENE Known human carcinogen. 3. HYDROABIETYL ALCOHOL Possible human carcinogen. 4. HYDROGEN PEROXIDE Known human carcinogen. 5. HYDROGENATED LECITHIN Penetration enhancer. 6. HYDROQUINONE Known human carcinogen. 1. ISOPROPANOL Reproductive system toxicity. 2. IODOPROPYNYL BUTYLLCARBAMATE Reproductive system toxicity. 5. IMIDAZOLIDINYL UREA Immune toxicant. 6. ISOTHIAZOLINONES Reproductive system toxicity. 2. KOJIC ACID Possible human carcinogen. 1. LACTIC ACID Immune toxicant. 2. LAURAMIDE DEA Harmful Impurities. 3. LAURYL LACTATE Penetration enhancer. 4. LINOLEAMIDE DEA Harmful Impurities. 5. LEAD ACETATE Known human carcinogen. 1. MERCURY Known human carcinogen. 2. METHENAMINE Possible human carcinogen. 3. 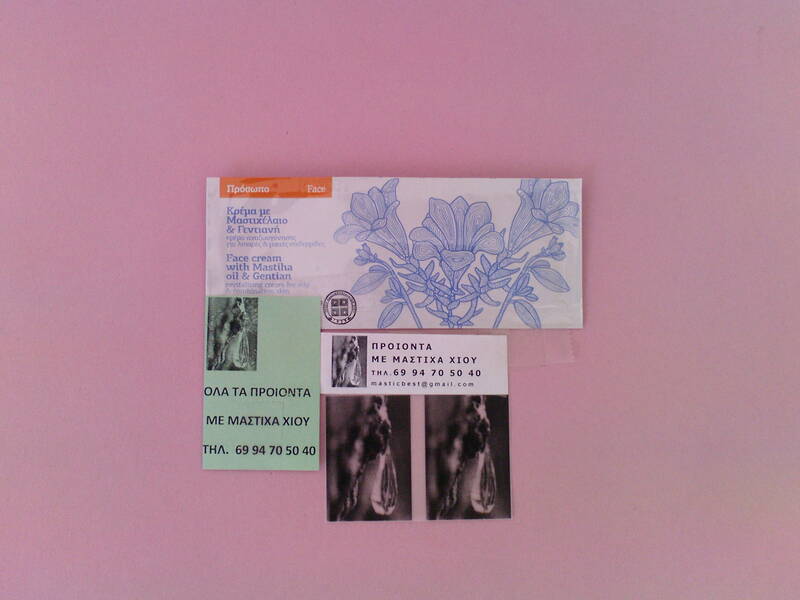 MEA Known or suspected teratogen. 4. METHYL SALICYLATE Reproductive system toxicity. 5. MANGANESE Reproductive system toxicity. 6. MINERAL OIL Possible human carcinogen. 1. N-PHENYL-P-PHENYLENEDIAMINE Known human carcinogen. 2. NAPHAZOLINE HYDROCHLORIDE Known human carcinogen. 3. NONOXYNOL-4 Known human carcinogen. 4. NONOXYNOL-10 Known human carcinogen. 1. O-AMINOPHENOL Known human carcinogen. 1. PETROLEUM DISTILLATES Known human carcinogen. 2. P-PHENYLENEDIAMINE Known human carcinogen. 3. P-AMINOPHENOL Known human carcinogen. 4. PHENYLPHENOL Reproductive system toxicity. 5. POTASSIUM DICHROMATE Immune toxicant. 6. PARABENS Reproductive system toxicity. 1. QUARTZ Known human carcinogen. 1. RESORCINOL Possible human carcinogen. 3. ROSE HIPS SEED OIL Immune toxicant. 4. ROSE HIPS Immune toxicant. 5. RED 6 BARIUM LAKE Immune toxicant. 1. SELENIUM SULFIDE Known human carcinogen. 2. SELENIUM Reproductive system toxicity. 3. 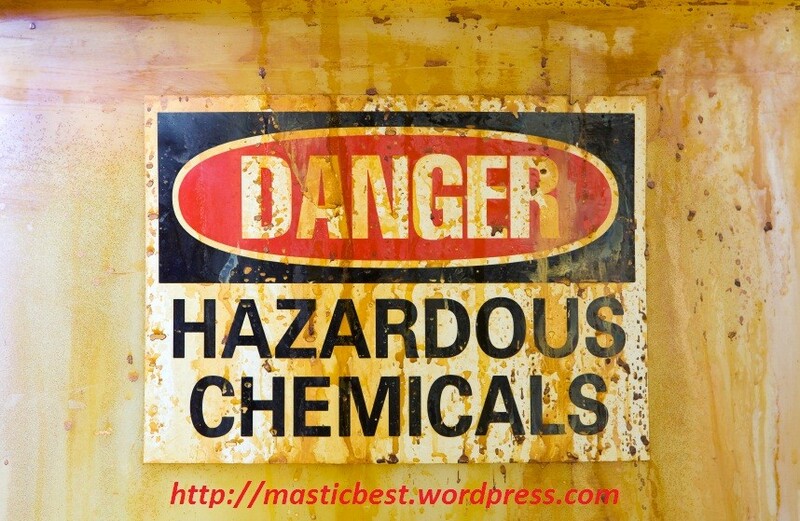 SODIUM BORATE Safety warnings & violations. 4. SD ALCOHOL 39C Reproductive system toxicity. 5. SODIUM METABISULFITE Immune toxicant. 6. SODIUM HYDROXIDE Reproductive system toxicity. 7. SODIUM LAURYL SULFATE Gastrointestinal toxicity. 8. SODIUM LACTATE Immune toxicant. 9. SODIUM PCA Harmful Impurities. 1. TOLUENE Known human carcinogen. 2. TRIETHANOLAMINE Possible human carcinogen. 4. TRIETHYLENE GLYCOL Reproductive system toxicity. 5. TOSYLAMIDE EPOXY RESIN Immune toxicant. 6. TOCOPHERYL ACETATE Immune toxicant. 1. URACIL Possible human carcinogen. 2. UREA Skin/sense organ toxicant. 1. VITAMIN D3 Reproductive system toxicity. 2. VITAMIN K Classified toxic. 1. WHITE PETROLATUM Harmful impurities. 1. ZIRCONIUM SILICATE Illegal ingredients (US). 2. ZINC SULFATE Reproductive system toxicity. 3. ZINC CHLORIDE Immune toxicant. 4. ZINC ACETATE Immune toxicant. 5. ZINC OXIDE Immune toxicant. 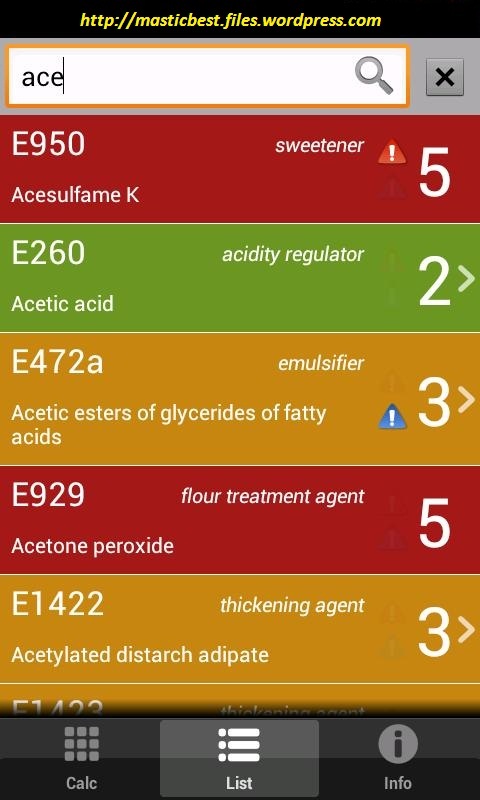 E104 Quinoline Yellow WS food colouring (dull or greenish yellow) Undergoing a voluntary phase-out in the UK. E110 Sunset Yellow FCF (Orange Yellow S, FD&C Yellow 6) food colouring (yellow-orange) Banned in Finland, Norway & the UK (voluntarily). Products in the EU require warnings and is evaluating a phase-out. E122 Carmoisine, Azorubine food colouring (red to maroon) Undergoing a voluntary phase-out in the UK, currently banned in Canada, Japan, Norway, USA & Sweden. EU currently evaluating health risks. E129 Allura Red AC (FD&C Red 40) food colouring (red) Banned in Denmark, Belgium, France, Switzerland & Sweden. Undergoing a voluntary phase out in the UK. Permitted in the US and by the EU (whilst preserving individual country bans). We Ship Worldwide! 7 DAYS A WEEK. Note : We update this blog daily. 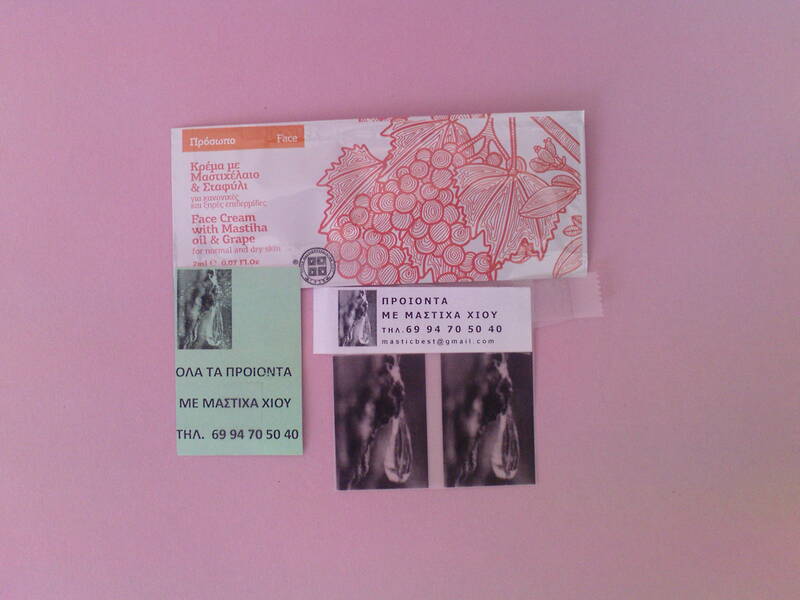 ΚAΘΗΜΕΡΙΝΗ ΕΝΗΜΕΡΩΣΗ.